At Frontline Auto Brokers our customers come first and satisfaction is our expectation. Family owned and operated with over 20 years of experience. We buy and sell only quality cars and back up every purchase with an extensive 1 month, 1,000 mile warranty at no cost to you at the advertised price! **5 YEAR, 100K MILE WARRANTY AVAILABLE...ASK FOR DETAILS!!! ** We purchase only local new car trades and avoid auction vehicle to bring you only the best cars possible. All cars are emission tested and come with a free Carfax report for your peace of mind. Located in Longmont we are a close drive for anyone in Northern Colorado including: Fort Collins, Greeley, Loveland, Berthoud, Lyons, Niwot, Boulder, Louisville, Superior, Broomfield, Windsor, Frederick, Firestone, and Erie. We are also close for those in the Denver Metro Area (Northglenn, Thornton, Littleton, Arvada, Englewood, Aurora, Wheatridge, Lakewood, Westminster ). 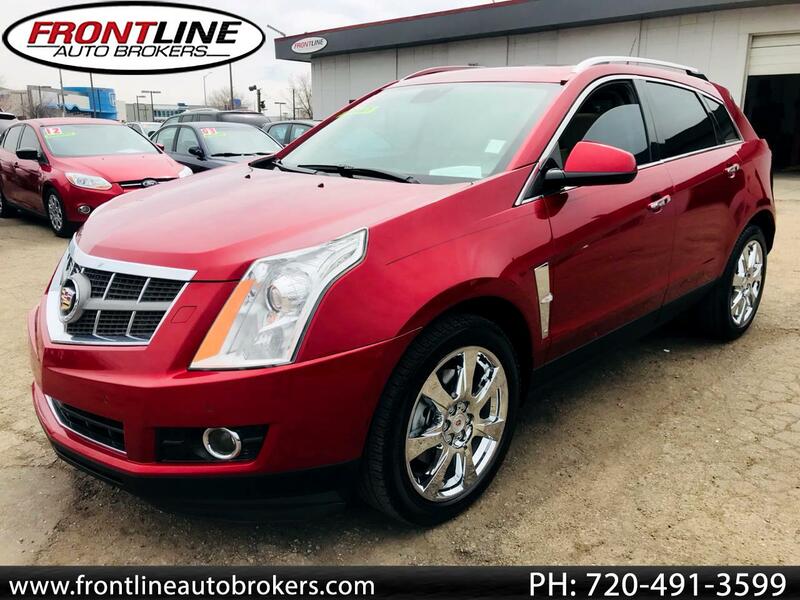 For easy driving directions or if you have any other questions, Visit Frontline Auto Brokers online at www.frontlineautobrokers.com or give us a call at 720-491-3599. We look forward to earning your business now and in the future! Message: Thought you might be interested in this 2011 Cadillac SRX.